Below you will find a list of course titles for each subject by grade level. A brief description of each corresponding product is provided by viewing on the webstore. For a comprehensive breakdown all in one place, including weekly lessons and detailed course descriptions, the full Scope and Sequence book may be viewed or downloaded for free from the link to the right. If you would like a printed copy, you may order one from the support materials page on the webstore or by calling 1-800-700-5322. © 2019 All Rights Reserved. 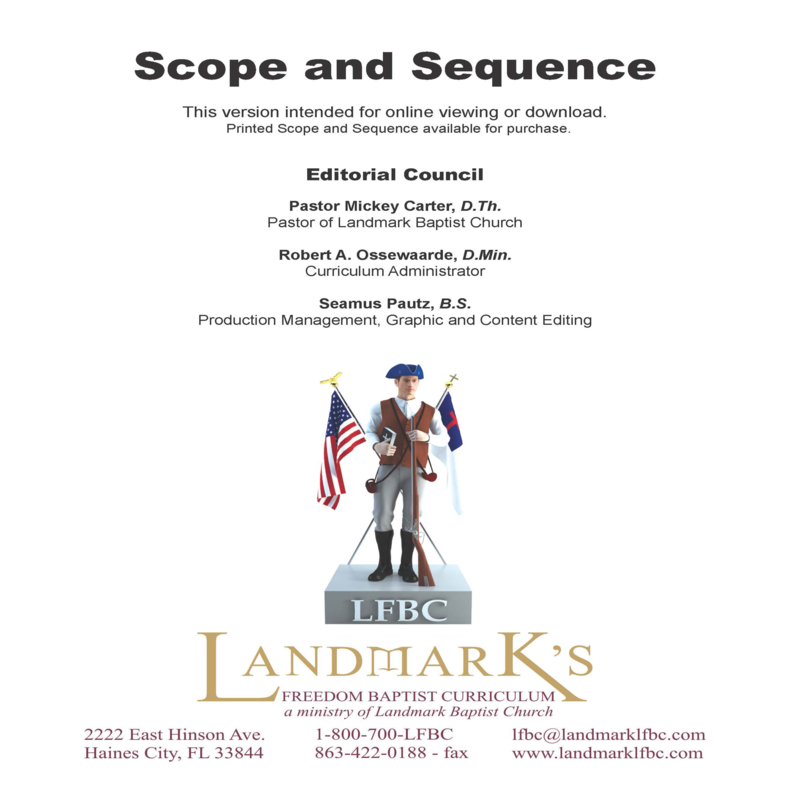 Landmark's Freedom Baptist Curriculum is a ministry of Landmark Baptist Church, Haines City, FL.